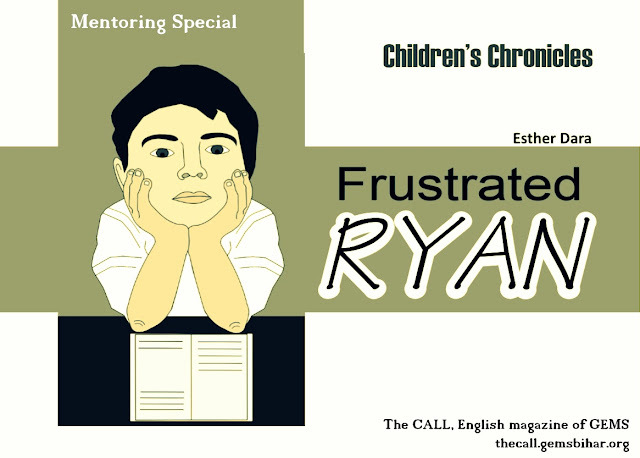 "Ryan's face was contorted with rage. He looked at the classroom board. Finally, his eyes were fixed his Maths teacher Mr. Theo who was rigorously teaching Trigonometry. The students of class 9A were so keen in jotting down the points. Everyone was listening intently except Ryan. He hated his maths teacher Mr. Theo from the core of his heart. His presence in the class made him sick. He didn't want to hear Mr. Theo's voice. Ryan's mind was screaming at him for revenge. Ryan’s dad punished him by grounding him forever. It’s all because of Mr. Theo." narrates Sis. Esther Dara in this story in The CALL. In pottery, the thumb finger plays a major role in changing the shape of the pot. I realized that the thumb finger is the mentor, whom God gives in our life. When God is moulding our children, keeping a shape in mind, we are like the thumb finger in His hand helping them to come out in the expected shape. Just like the thumb finger has the power to change the shape of the pot, we as mentors, have the power to change the shape of our children. Mentoring our children and helping them to become a person that God wants, is a herculean task. God has entrusted this great responsibility in our hands as parents, trusting that we will do it sincerely and faithfully.” writes Sis. Sheela Duthie (Secretary to the Executive Director) in this article in The CALL. 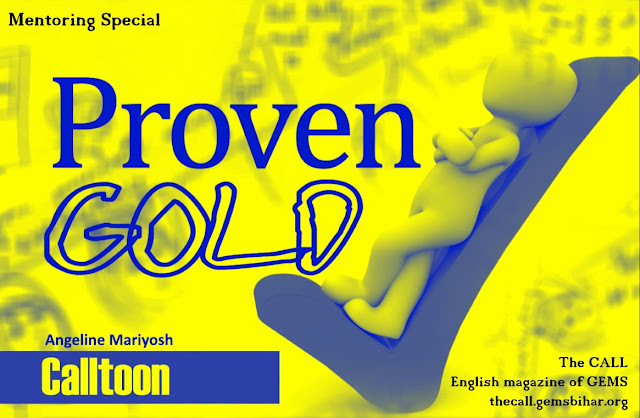 ‘Proven Gold’ in the Calltoon column of the 'Mentoring Special' issue of The CALL is a treat for children and teens. It is an interesting and inspiring story of Betty, written and cartooned by Sis. Angeline Mariyosh (Headmistress, GEMS English School-Sikaria). 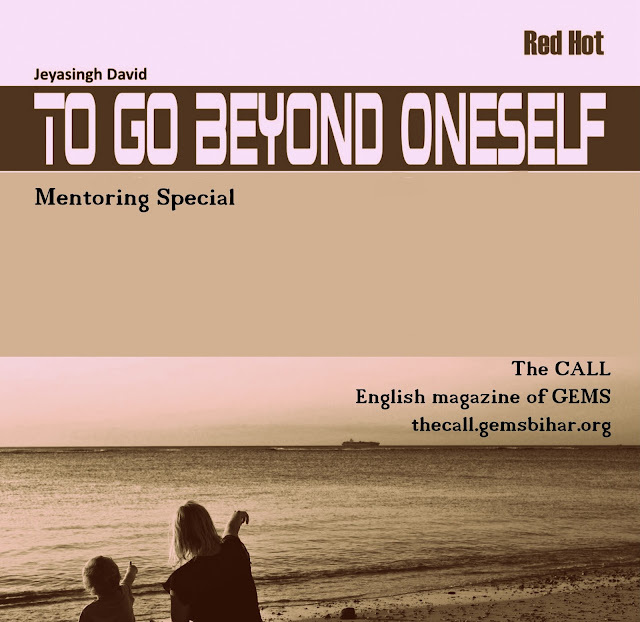 Why We Do Not Mentor? But today many people especially leaders, no matter where they work fail to produce their successors and future leaders to a great extent. There may be various reasons for this failure in raising next generation leaders.” writes Bro. T. Emerson (Associate Director, GEMS) in this article in The CALL and goes on to talk about those reasons. “I sought God only in the times of trouble. But later I realized that this is not real and that I am living a fake Christian life. The verse Mathew 6:33 kept on speaking to me that whatever you do, wherever you go and whomever you meet, in all the scenarios seek Him first and seek Him alone. Until that moment I didn’t know that the hand of the Lord was on me, moulded me, guided me, strengthened me and rescued me from all things that I’ve been through in my life...” writes Bro. 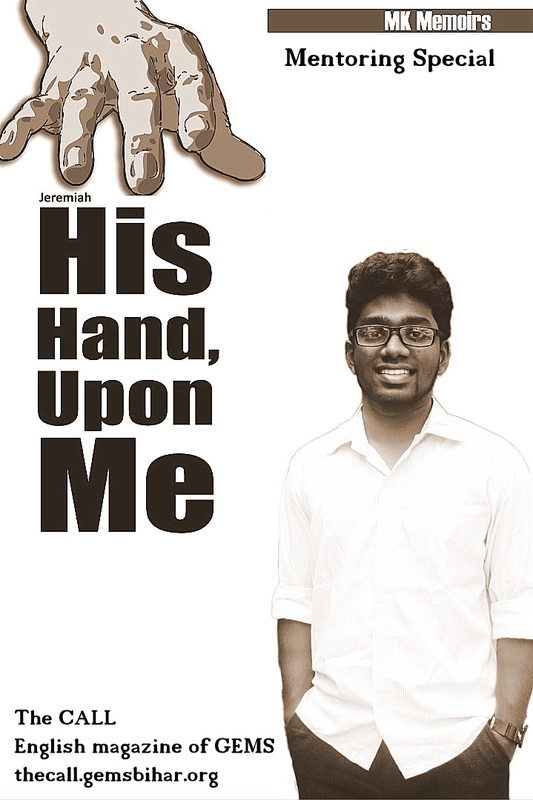 Jeremiah in this article in The CALL. 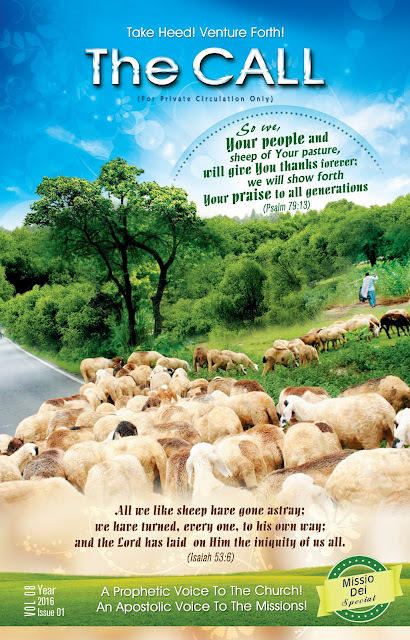 “Jesus led His disciples into experiences and hardships that shaped their character and faith. Jesus taught His disciples about faith; but one evening, He took His disciples to the other side of the sea, knowing the risk of the storm and high waves. A mentor should instruct the mentees and the instruction has to be given in a practical way. 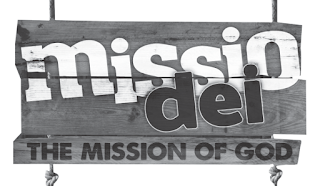 Discipleship and mentoring, both involve instruction-based relationship. Jesus Christ not only made disciples but also mentored His disciples. 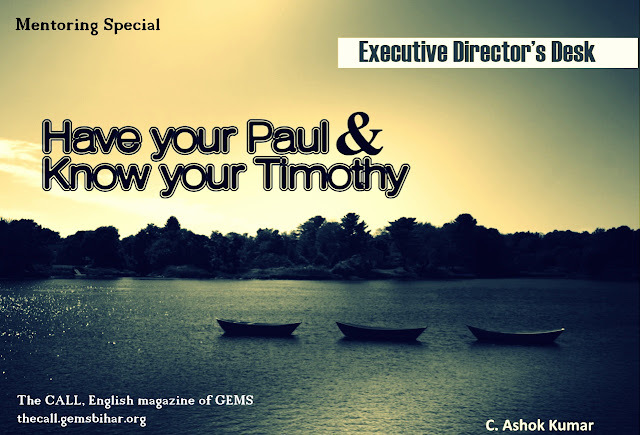 Mentoring is about showing someone what God wants them to be and developing them to go beyond themselves.” writes Bro. Jeyasingh David (Secretary, DCLM School) in this article in The CALL. ““Teaching helps to understand what to think but mentoring trains to know how to think”. The true mentorship gives astounding results in every aspect; it enhances individuals, families, churches and the society. 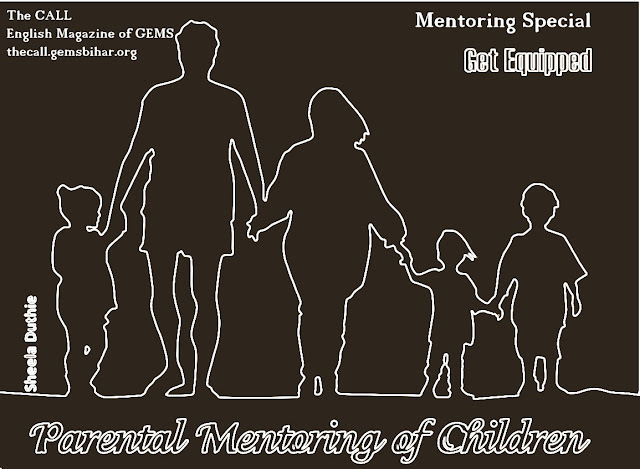 Everyone, irrespective of age, has a call to be mentored and / or to mentor others. The Greek word for “Mentor” conveys the meaning of “advising or imparting wisdom on someone”. However, this is only a part of mentorship and the Bible gives us the vivid picture of mentoring. 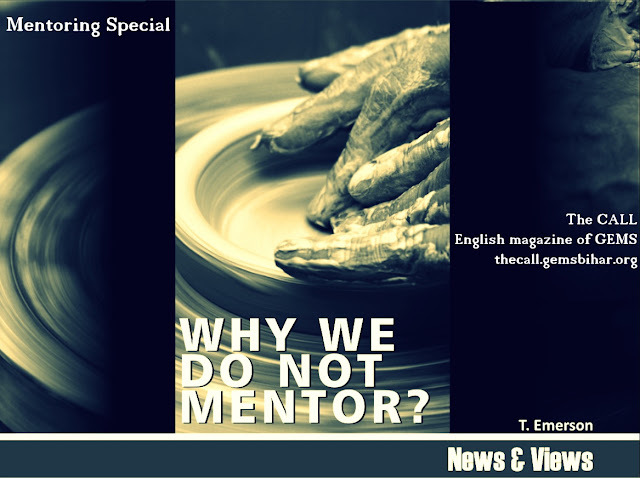 God is not only our Maker but also a Mentor.” writes Dr. Ashok Kumar (Executive Director, GEMS) in this article in The CALL and goes on to share five prominent truths of mentorship. "One thing that every leader must recognize is that, they develop not only second level leadership to take on their position, but also impart the vision. When they don’t have a succession plan, leadership vacuum gets created. There are two major reasons for this. One is a sense of insecurity among the leaders - a fear of losing their position - that stops them from building second level leadership. Second is a desire to be indispensable to the organization where they like people become dependent on them for everything. They seldom share their vision and knowledge, keep things confidential like ‘guru mantra’ and when they are gone, a tremendous vacuum is created..." writes Bro. 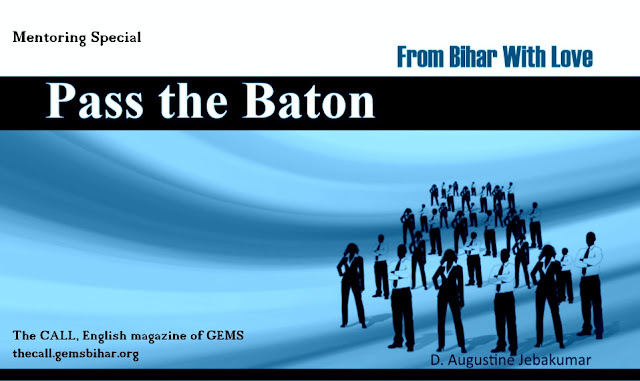 D. Augustine Jebakumar (General Secretary, GEMS) in the article 'Pass the Baton' in The CALL. The CALL Editor Receives the ICMA Bennett Memorial Award! 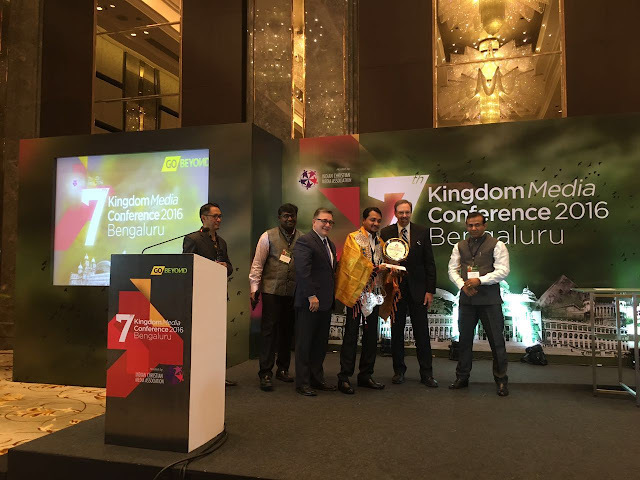 The Chief Editor of The CALL, Mr. Mariyosh Joseph received the Bennett Memorial Award for Innovative Media Outreach at the 7th Kingdom Media Conference held at Bangalore on 23rd September 2016. He received the award from Dr. Jerry Johnson (President) & Dr. Bill Blount (Chairman) of National Religious Broadcasters. 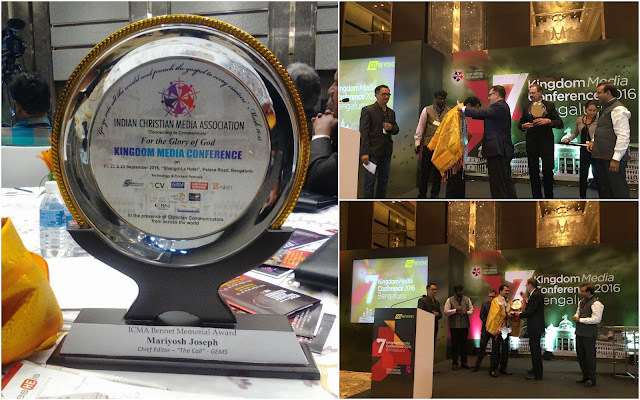 Mr. Mariyosh was recommended for the award by Christian Institute of Management for his work with The CALL magazine, GEMS and contributions in media and missions at large. The CALL thanks all the subscribers, contributors and well-wishers for your support and trust. 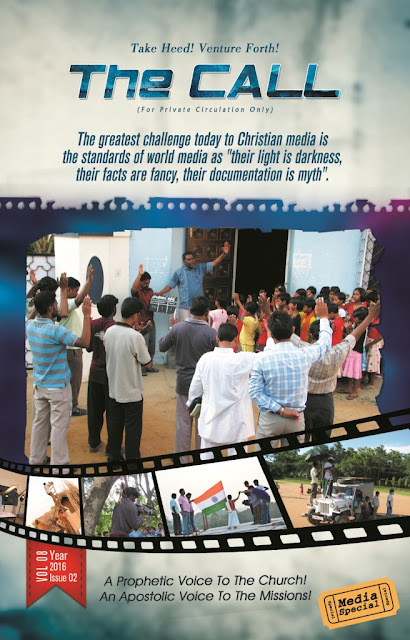 This issue of The CALL magazine, the Media Special is released and will be available in print shortly. In his book ‘Christ and the Media’ Muggeridge nails it when he says, “The problem of the media is but a symptom of a deeper problem – the problem of the human heart, alienated from God.” One of the greatest challenges is for this Selfie Generation to find the value of their true self in the Saviour, “who, though he was in the form of God... emptied himself, taking the form of a slave… And being found in human form, he humbled himself” (Philippians 2:6-8).